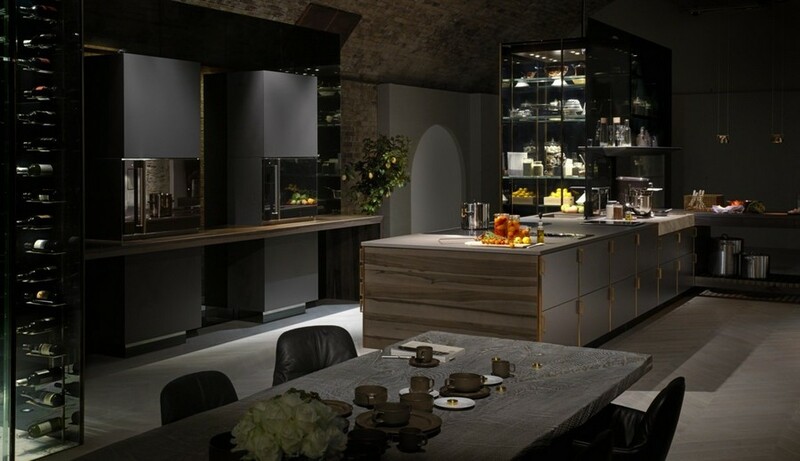 The system of professional kitchen hardware dubbed “Grand Cuisine” was presented by Electrolux Professional last year and immediately overshadowed all the competitors in terms of quality, possibilities and price, of course. All of its nine elements are meant for professional-chef-like cooking in your home, at the level of the best restaurants of the world. The elements cover all possible cooking processes and include a high-precision oven, a vacuum sealer allowing for sous-vide cooking, a powerful induction zone and a surround induction zone for steaming and frying, a sear hob for cooking without a pan, a standing mixer, a bespoke ventilation system, and a cooker for the most demanding chefs. But the most outstanding piece of Grand Cuisine in our humble opinion is the Blast Chiller and we’d like to speak about it in detail. Perhaps, you have heard something about the cook-and-chill method, have you? This interesting cooking approach is widely used in restaurants worldwide, where keeping foodstuffs fresh and saving time on chilling drinks is most relevant. In this method a powerful hardware is used to blast chill and freeze dishes right from the oven. But the most important thing about it is not just the speed. The thing is that in regular freezers crystals of ice are inevitably formed inside foodstuffs, and it’s because of them frozen food loses its original texture and taste. 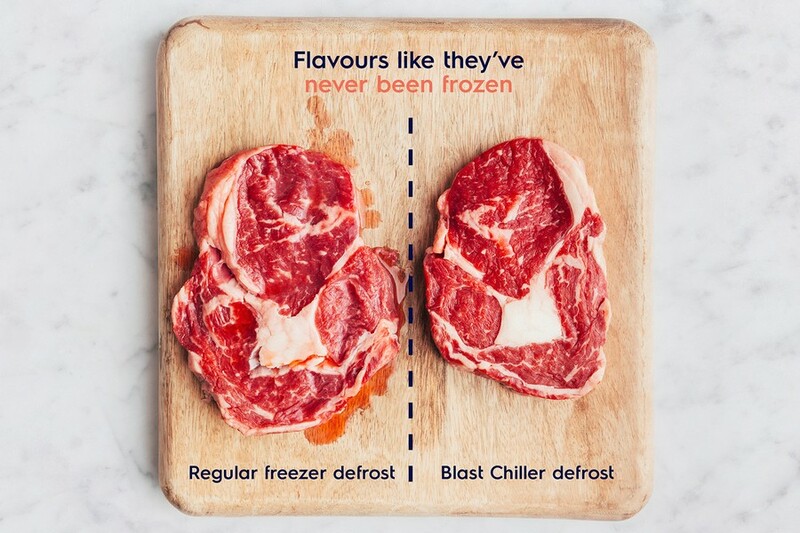 By blast chilling and freezing the ice doesn’t appear, and hence fresh vegetables, soft fruits, desserts and tender meat can be frozen without sacrificing their taste and texture. Having such professional kitchen equipment at home is especially relevant to two categories of people – fans of desserts and hospitable hosts. Thus, with the Blast Chiller you can get ready for receiving guests beforehand, chilling and freezing hot meals right from the oven, instead of running across the kitchen when guests are already on your porch. 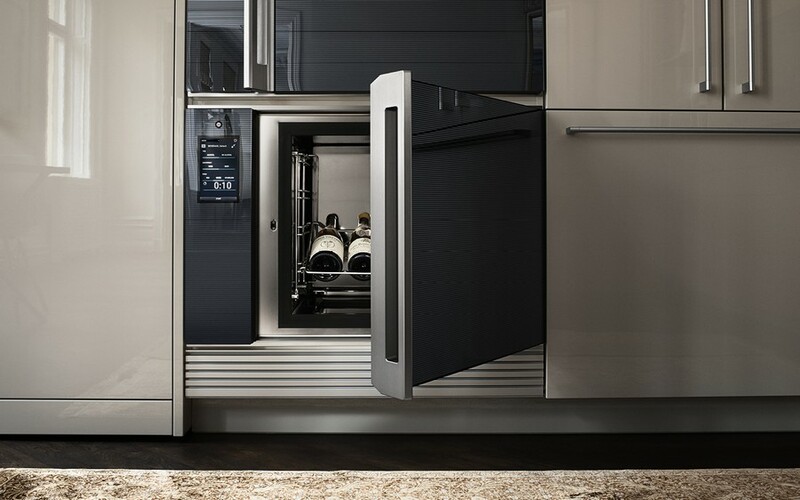 Besides, the cabinet of the Blast Chiller is pretty roomy and can chill up to 10 bottles of champagne to the perfect temperature of 8 degrees within just 30 minutes. As for the fans of desserts, they would surely appreciate the way they can make layered desserts within a few minutes instead of a few hours they spent earlier. For instance, the dessert on the image below conventionally takes about a whole day to make. By means of blast freezing one can chill every layer, including strawberry panna cotta, lemon cream and vanilla ice-cream almost in a blink of an eye. Besides, the manufacturer offers dozens of recipes of cocktails, desserts, ice-cream and even coffee that can be created with the Blast Chiller easily and quickly. As for the design of the Grand Cuisine line, it’s out of time and fashion and can be fit into any kitchen interior.